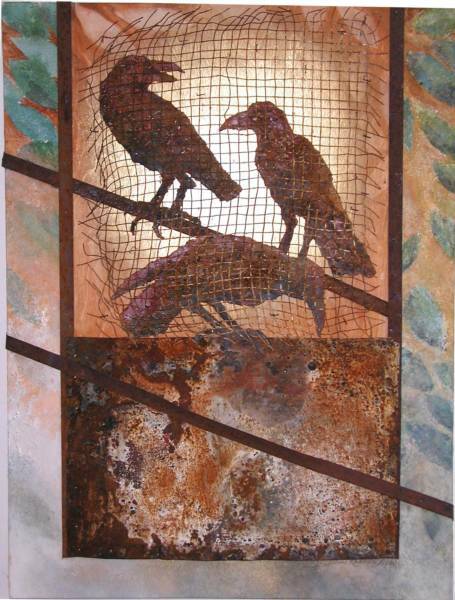 Diane Ruhkala Bell an award winning California artist. 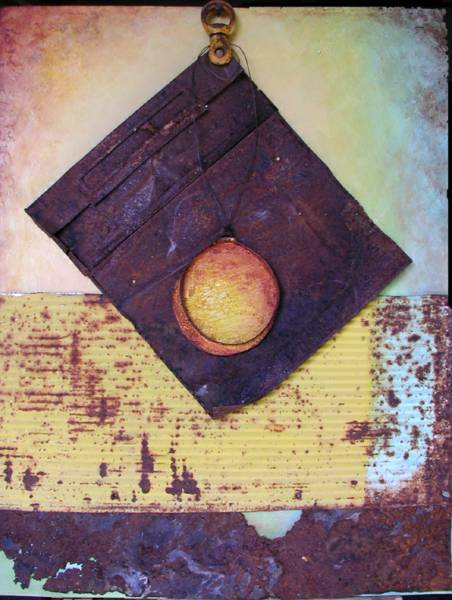 She has had numerous one-person exhibitions over the years and has won many awards in juried shows such as the California State Exposition. 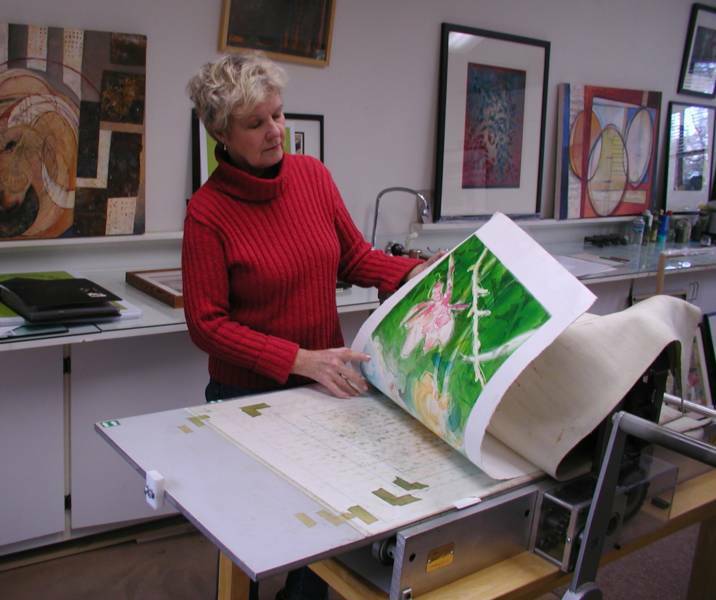 Her art is in collections throughout the United States and also in Finland, France and India. She is active in the arts community, curating and installing exhibitions and supporting youth art activities. 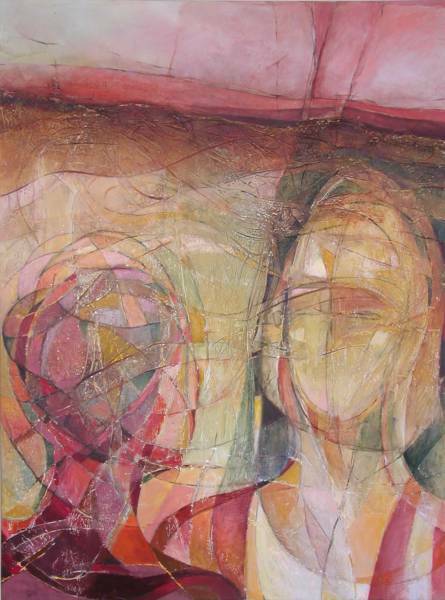 She attended Chouinard Art Institute in Los Angeles and continued studies with outstanding teachers at Cal State Chico, Sierra College and Davis. Creating meaningful art has been her challenge and joy. She is compelled to keep experimenting and creating new work. She is an artist to keep your eye on. Thanks for visiting and checking out my work. I am a restless and experimental artist, weaving in and out of printmaking, collage, assemblage and acrylics...a bit of each media threading into another, sometimes all are combined into one piece of art. 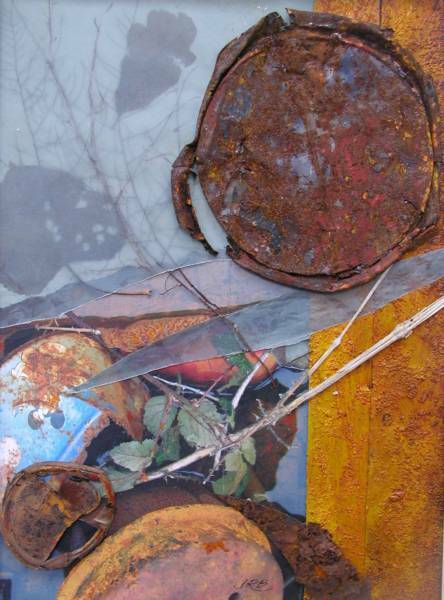 I may pick up a piece of rusty tin or print a texture on my printing press and then just see where they lead me. I prefer not knowing what I will end up with. I love the process, the experimenting and trying to produce something that reflects who and where I am in this world. I like my artwork to be a bit illusive so the viewers can contemplate the piece and come up with their own interpretation.